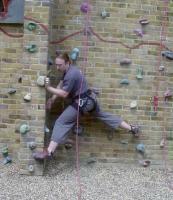 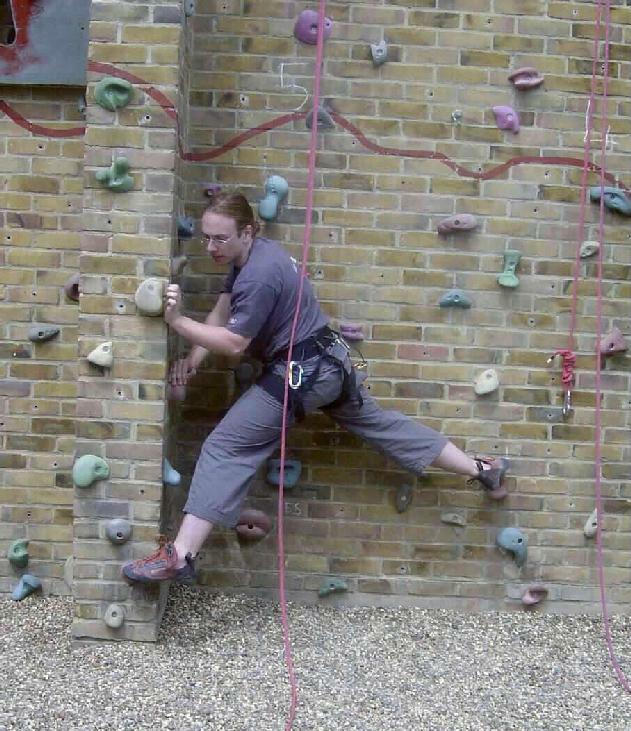 We are fortunate that the local Herne Bay High School has both an indoor and an outdoor climbing wall. This runs a weekly open session on Wednesdays during term time. 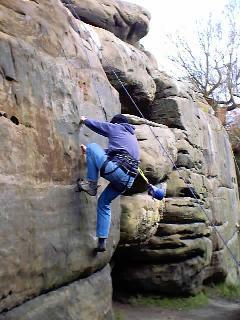 Our nearest local real rock is Southern Sandstone which we get to when we can. 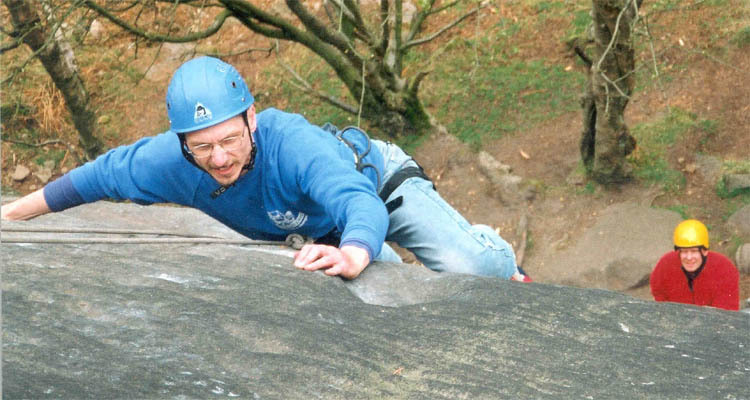 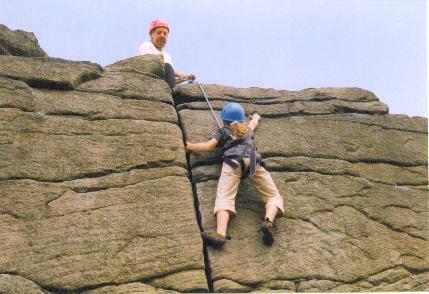 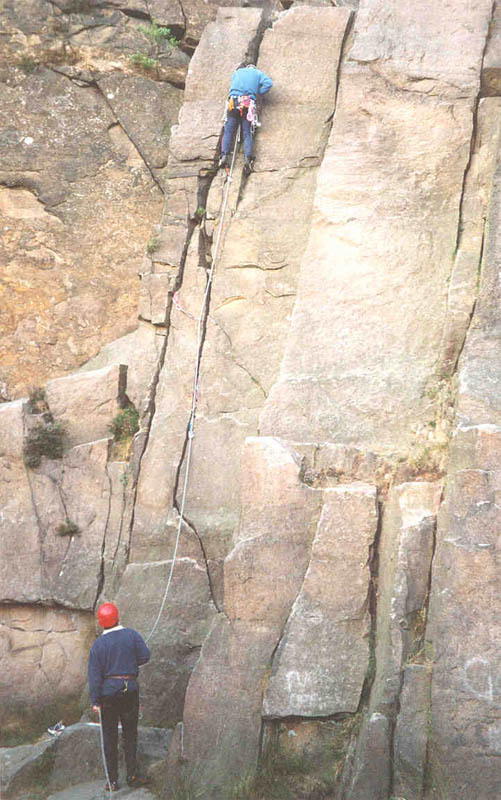 In Summer 2002 and 2004 we had family holidays in the Peak District, which gave Hannah, Ben and Sarah their first taste of gritstone climbing. 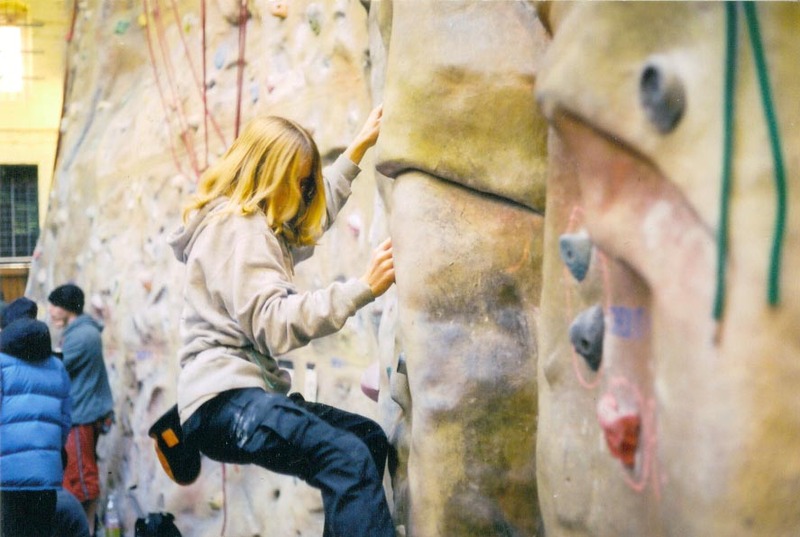 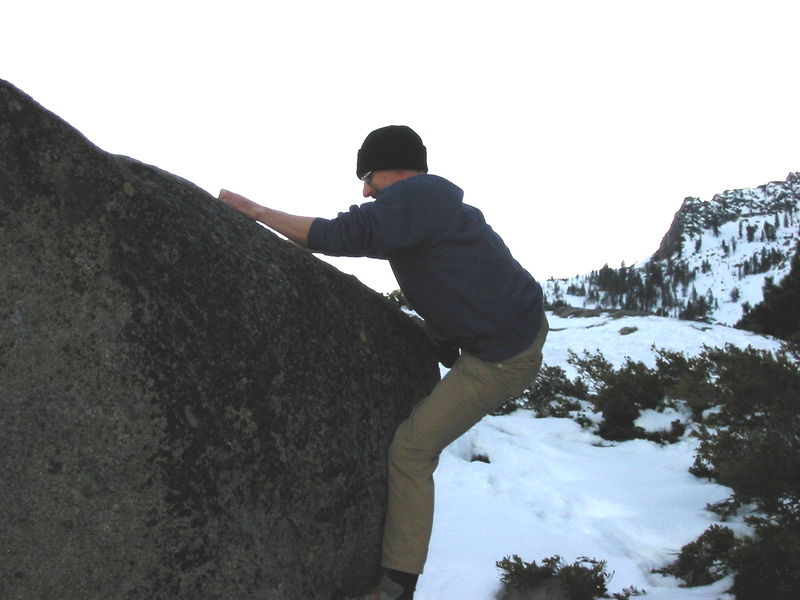 We are far from being brilliant climbers, but we enjoy ourselves. 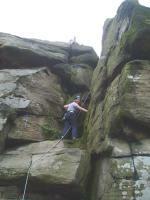 Below are some pictures of where we have been. 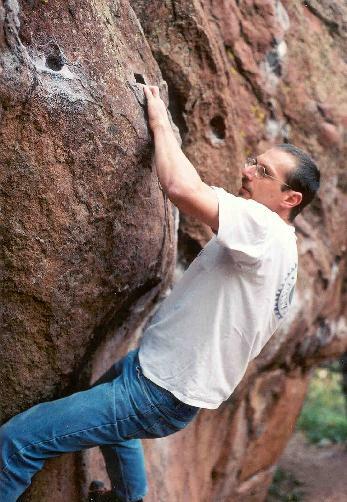 Click on the thumbnails to see a larger version of each. There are some more photos in my UKClimbing photo gallery. 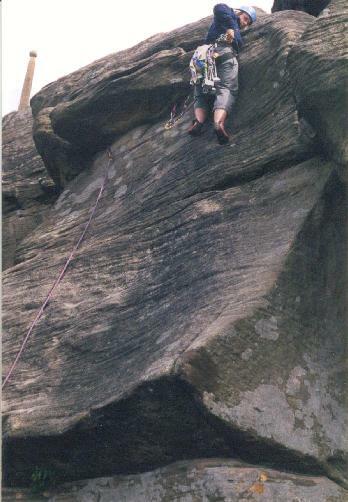 This document (http://www.cs.kent.ac.uk/~djb/climbing/index.html) is maintained by: David Barnes, to whom any comments and corrections should be addressed.